Farm Management — Field Level Agriculture, Inc.
Seth M. Baker, Managing Broker, was raised on a grain farm in central Illinois, earned a degree in Agricultural Economics from the University of Illinois, and has spend the past twenty years as a farm manager with a Accredited Farm Manger (AFM) designation from the American Society of Farm Managers and Rural Appraisers. Field Level Agriculture, Inc. is well suited to help farmland owners with any of their farm management needs. From individuals, families, trusts, foundations and corporations, we can meet the needs of anyone with an ownership interest in farmland. You can take comfort knowing that one of your most valuable assets is providing a positive annual income while remaining well maintained, fertile and ready to produce for generations to come. The economics of farmland ownership has changed quickly over the past few years. Historically, a 50/50 crop share lease was the most common lease and was an equitable approach to farm leasing. Over the years other lease types have become more popular and common. If you are not sure what lease best fits your needs, Field Level Agriculture can help. We can recommend and implement the lease that best meets your goals. Do you need a new tenant for you farmland? We can help help you find the right tenant to meet your needs. In Seth's twenty years in the farm management business, he has developed an extensive list of potential tenants. He can also interview tenants to find the best fit or create a cash rent bid, if desired. If you already have a lease and tenant in place that you like, but just don't want to handle the day to day transactions and decisions that come with farmland ownership, we can help with that as well. We can act in the owners behalf to handle the necessary transactions for proper management and provide reports to keep the owner well informed. We will provide a transaction report on a quarterly basis (or as requested), budgets, production updates and results, and other information needed to meet the owner's goals. Field Level Agriculture, Inc. has experience working with foundations, charities and corporations to help meet the unique needs of these types of entities. The management of the farmland itself is similar no matter who owns the property, however, the reporting, and communication can vary greatly. Seth has experience dealing with a variety of boards and board members to find a management style that can suit a variety of goals and objectives. Professional reports and communication improves the farmland ownership experience with foundations, charities and corporations. Often, there are leaders and board member that are less knowledgable in agriculture. Our reports and discussions can help bridge that knowledge gap so everyone involved can help be a part of the decision making process. Treating at farmland as an investment is a vital aspect of the Field Level Agriculture, Inc. culture and management style. Having the right data to properly assess you farmland and help board members make the correct management direction and decisions. We provide detailed income and appreciation information on an annualized basis to help compare your farmland investment to other investments on your portfolio. Field Level Agriculture, Inc. also has experience working with trusts and trust departments to help meet the needs of trustees and beneficiaries. Seth's twenty years of experience has come in the banking industry and he has worked with the trust farmland ownership within the bank and for outside trust departments. Like with all farmland owners, communication and professional reporting can improve the farmland experience with everyone involved. We understand the delicate balance between the directions of the governing trust documents and the wants and needs of the beneficiaries. Professional farm management can ease the duties of the trustee and reduce the potential liability of mismanagement for the trust company. For trustees, we can provide a professional approach that can add peace of mind while easing the concerns of the beneficiaries. For trust companies, we can help set up a process that allows for communication with beneficiaries through company letterhead. We area cost effective approach to farm management for companies with a partial management load. 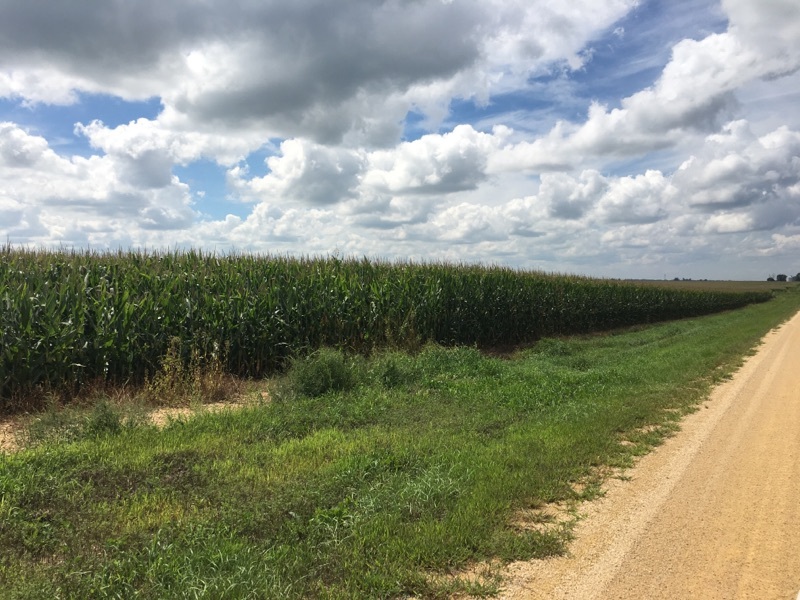 A partnership with Field Level Agriculture, Inc. can reduce expenses, liability and headaches associated with farmland management.